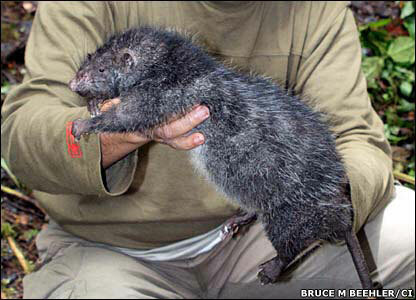 The 1.4kg Mallomys giant rat is one of two species of mammal found by Conservation International on an expedition to the Foja Mountains in the north of Papua province, Indonesia. 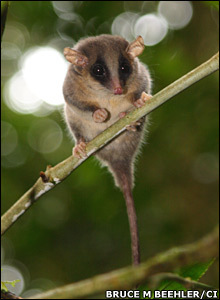 This tiny species of Cercartetus pygmy possum - one of the world's smallest marsupials - is also thought to be new to science after being spotted in the remote jungle. 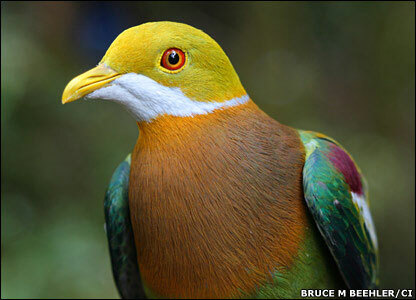 The area, known as the "lost world" because of the number of new species discovered there, is also home to colourful birds, such as this Ornate Fruit-Dove. 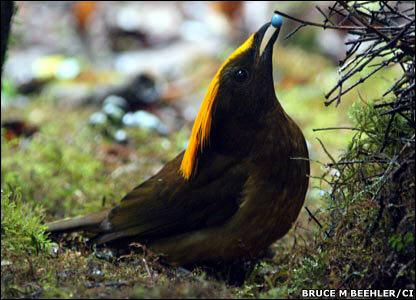 During the trip, a film crew which accompanied the scientists also managed to capture the courtship display of a male golden-fronted bowerbird. 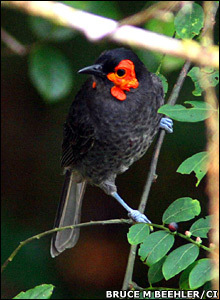 The wattled smoky honeyeater, discovered on a previous trip to the region in 2005 and only named this year, was also documented for the first time.